By Car – From London, take the M2 towards Gravesend. Merge onto E. Rochester Way/A2. Take the exit towards Gravesend (E). At the roundabout, take the 3rd exit. At the roundabout take the 1st exit onto Henhurst Road. Henhurst Rd turns left and becomes Jeskyns Road. Continue onto The Street. Owletts will be on your left. By Car – From London, take the M25, M26, then M20 towards Ashford, leaving at Junction 10. At the roundabout take the 1st exit, signposted Canterbury (A28). At the roundabout take the 2nd exit, signposted Canterbury (A28). Continue along the A28 from 6.8 miles, and at the junction turn left onto the A252. Take the first left onto Soleshill Road and continue onto Chilham Square. You can park for free in the car park at the bottom of Taylors Hill, just off Chiham Square. Alternatively, take a taxi from Ashford International (taxis can be found outside the main entrance) to Chilham Square. By coach – National Express frequently run coaches from Victoria Coach Station to Ashford Park Street or Canterbury Bus Station. On arrival, Stagecoach Buses run to Chilham. Look out for the 1, 1x or 1a, and make sure that they are running to Chilham. Alight at Feleborough Close, turning right onto Soleshill Road which leads to Chilham Square. 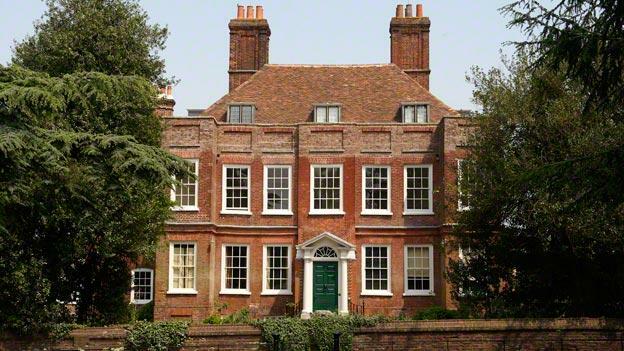 Owletts, a lovely, two-storey Kentish yeoman’s house dating from the late 17th century, was built for successful farmers Bonham and Elizabeth Hayes. Its interiors were completed in 1684, and include ornate Carolean plasterwork above the main staircase. This was the family home of architect Sir Herbert Baker, who was born there in 1862. Over his lifetime, he furnished the house with specially commissioned or collected family furniture and art. Owletts’ interiors are just as they were when Baker lived there and the house was left to the National Trust after his death in 1946. The house is set in attractive gardens designed with help from Gertrude Jekyll, who was introduced to Baker by Lutyens. Within the gardens is a bird bath made from Corinthian capitals salvaged from London’s old Bank of England building, designed by John Soane. 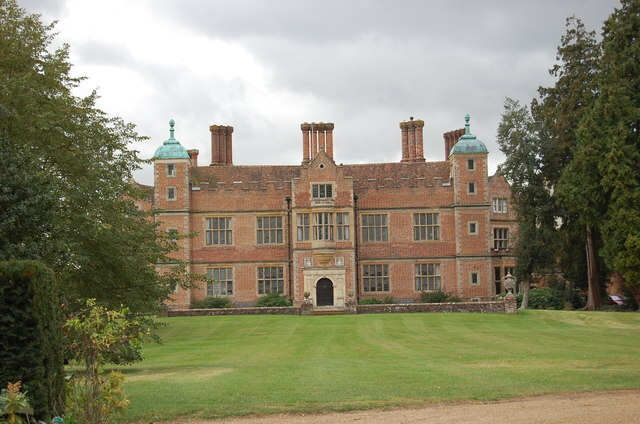 We will also be visiting Chilham Castle where Baker undertook work on both the main house and the village. In June 1320, Bartholomew de Badlesmere hosted a reception at the castle for Edward II and his entourage when they were travelling to Dover en route to France. The Jacobean building, within sight of the “Old Castle” (the keep), was completed in 1616 for Sir Dudley Digges on a hexagonal plan. Chilham — one of the finer mansions in the south east of England — commands exceptional views across the valley of the River Stour, Kent. It has battlemented parapets, clustered facetted brick chimneys and corner towers with squared ogee cappings. Nicholas Stone, a master mason who had worked under Inigo Jones’s direction at Holyrood Palace in 1616 and the Whitehall Banqueting House, was commissioned to add a funerary chapel to Chilham church for Sir Dudley, to contain Stone’s monument to Lady Digges, from 1631 to 1632. The gardens, said originally to have been laid out by John Tradescant the elder, were redesigned twice in the 18th century. Capability Brown made further recommendations for change, some of which were implemented. The castle was bought by James Wildman in 1794 and in 1816 was inherited by his son James Beckford Wildman, who sold it in 1861 because of falling income after the emancipation of slaves on the family estates in the West Indies. Plans of Chilham showing substantial changes to the building by David Brandon for Charles Stewart Hardy in 1862 and by Sir Herbert Baker for mining magnate Sir Edmund and his wife Lady Mary Davis in the early 1920s are conserved in the Victoria & Albert Museum. The present terracing, altered in the 18th and 20th centuries, leads to a fishing lake dating from the time of Hardy. The walls to the grounds date mostly from the 18th century, although the two gatehouses were only added in the early 1920s. Tickets cost £35 (to include a £10 Gift Aid donation). Please send a stamped addressed envelope — or your email address — and a cheque for £35, made payable to the Lutyens Trust, to Rebecca Lilley, Danewood, Denwood St, Crundale, Canterbury, Kent CT4 7EF. For more information, email general@lutyenstrust.org.uk.